The pic above goes some small way to explaining the absence of this coastal blogger. Nope, I’m not in need of an intervention, and my slack posting has no real excuse – it’s just the time of the year and being frantically busy selling silk lanterns and Buddhas. 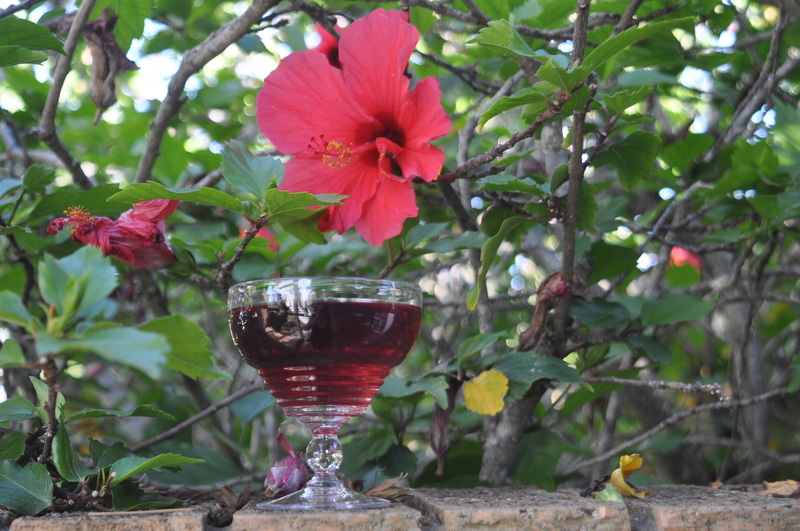 I’ll fill you in on the business side in a few days, until then, here’s a must do for anyone in the area – a visit to the Herold winery at the top of the Montague Pass. 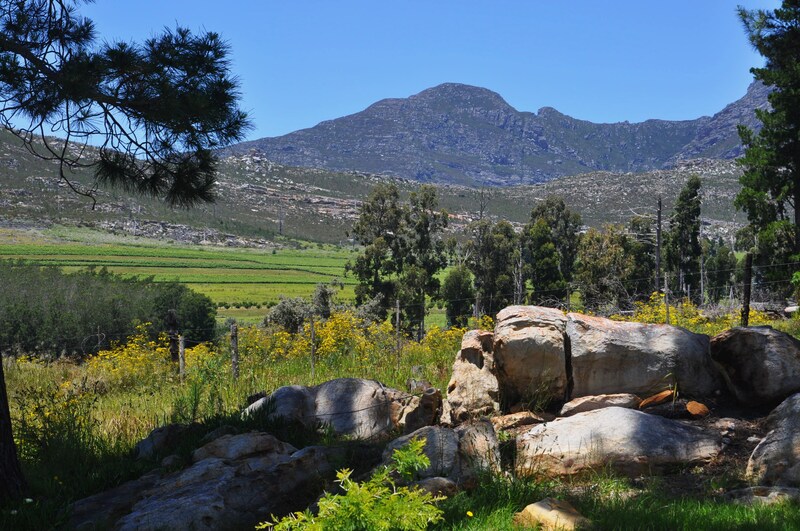 Herold winery is a small, low-key wine farm high up in the Outeniqua mountain range, not a traditional grape growing area at all. Thirty minutes drive from the Wilderness coastline, this boutique winery has a unique micro climate for growing grapes. The cooler coastal conditions mean both the Sauvignon Blanc and the Pinot Noir, with their slowly ripened fruit, produce fantastic wines. The winery is small, and the infrastructure is quite basic and rustic, which makes it all quite special. 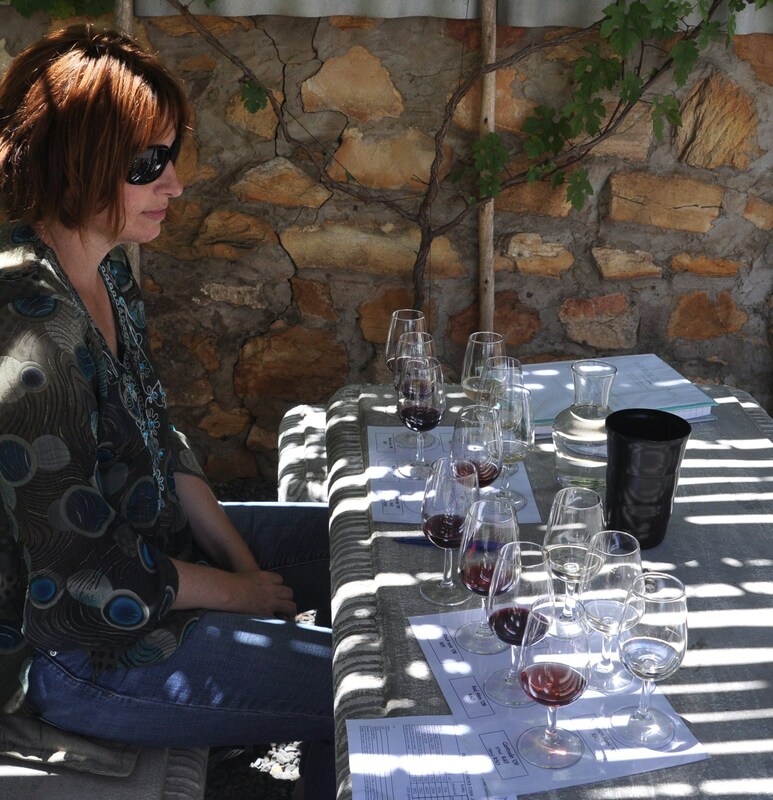 The tasting takes place in a corrugated iron shed with a fireplace in the winter, and in a stone-walled courtyard with benches and thick cushions in the summer. The hostess was great, very knowledgable about the wines and generous with allowing us access to the ice-cold bottling room and showing us how the labels are applied with a hand-turned machine. The wines are delicious, the scenery is superb, and the kids had a ball wandering around the farm. A great family outing, with alcohol buying involved, what more could parents with kids on long summer holidays need? 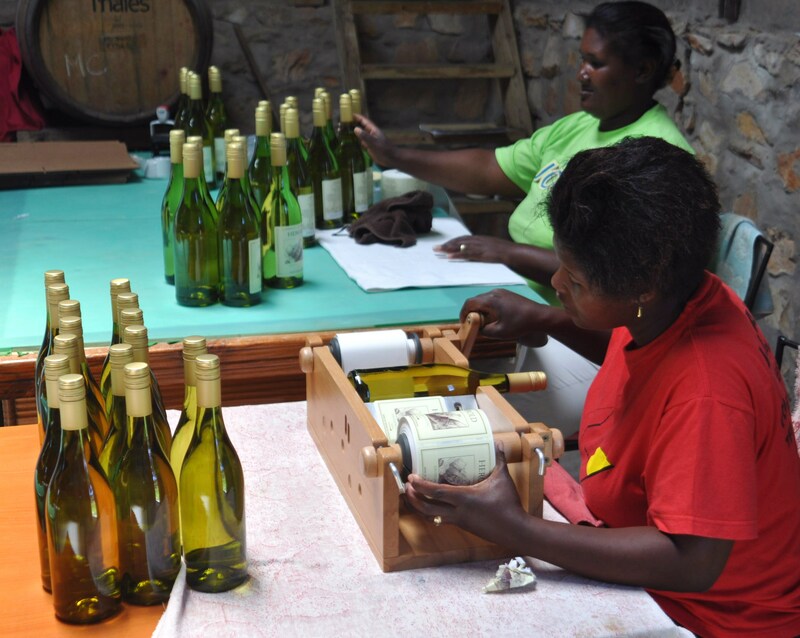 Wine workers applying the labels with the hand-turned machine. 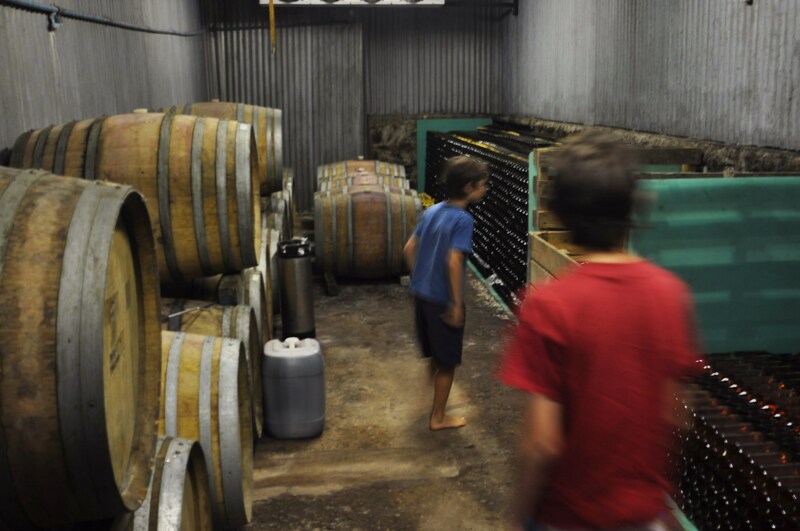 Bottling room - damp, cold, with wine-soaked stone floors. 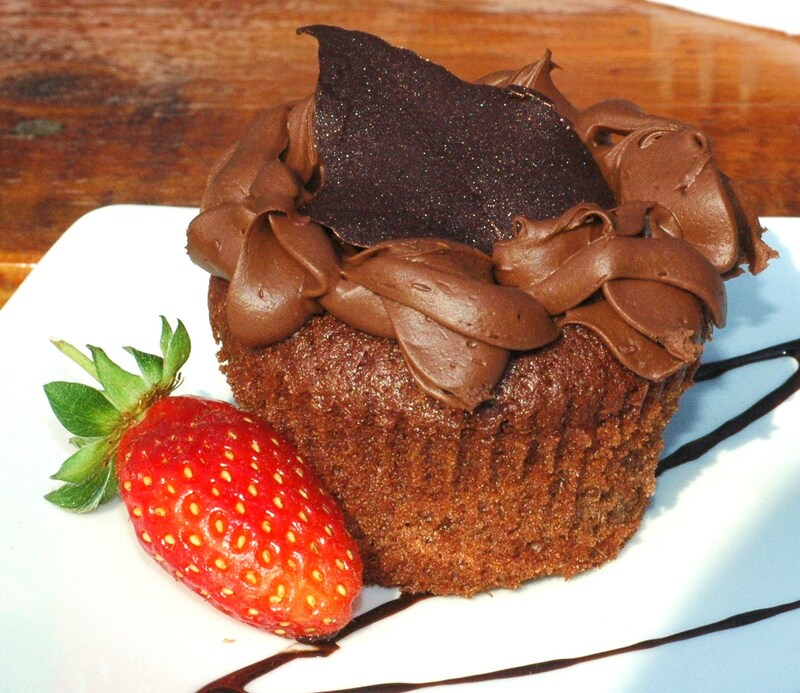 Just in case you need another reason to go to the wildly beautiful Goukamma beach, here it is – Chef Alma’s cupcakes. Chef Alma’s has opened in the spot that used to be Peridot’s (I know it’s been something else since, but I can’t remember the name! ), on the road to Lake Pleasant beach. The cupcakes are divinely moist and smothered in chocolate ganache. At R10 (US$1.50) they’re an affordable recession treat. Eat them at the restaurant accompanied by an excellent cup of coffee, or get a few as takeaways and savour them on the bench at the end of the wooden walkway as you do your whale spotting. If Knysna is the glamorous, beautiful sister of the Garden Route, then Mossel Bay is the working class hero brother. A town of industry, rugged fisherman and oil rig workers, the intermittent patches of attempted gentrification look out of place. 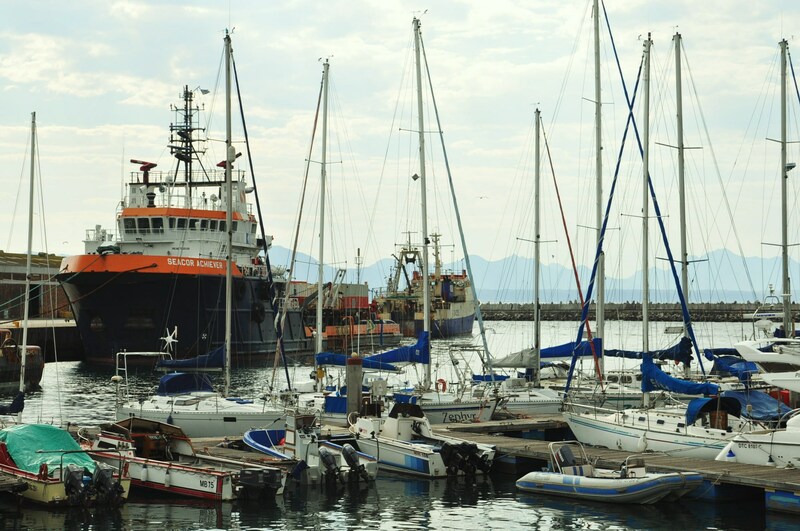 The best part of Mossel Bay is the harbour which is an old-fashioned fishing port and handles little commercial cargo – husky men wander around in yellow waterproofs and white rubber boots, forklifts stacked with canned pilchards trundle around, and the sound of the sea gulls hovering over incoming vessels is deafening. We had to go to customs yesterday to sort out shipping documents and timed the visit so we could have lunch at the Sea Gypsy Cafe. This bright blue wooden hut, situated just at the harbour gates, has been there forever and is packed every lunchtime. 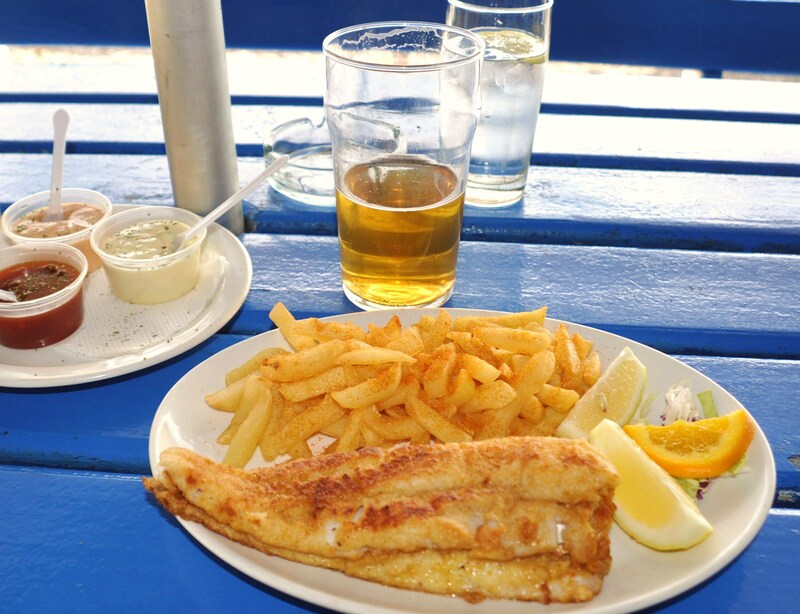 Fish and chips, mussels, calamari, oysters – have your pick of cheap, fresh sea food with an uninterrupted view of the ocean. 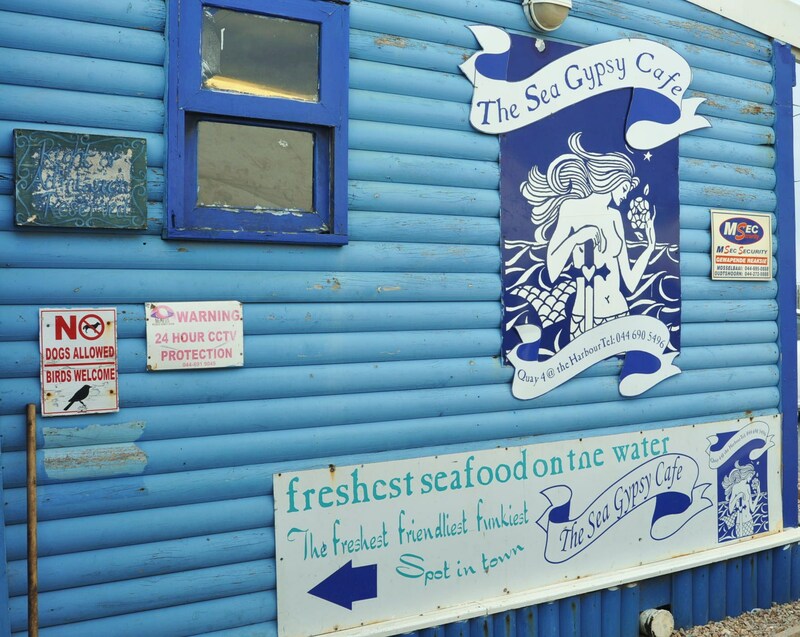 Bright blue harbour landmark - The Sea Gypsy Cafe. Fish and chips washed down with a beer, spitting distance from the sea. . . The Port Authority bans many activities, but you can't accuse them of being suicide unfriendly. My basil has taken over the herb garden and there’s only so much pesto I can make. Figured I’d give basil ice cream a try – I’ve seen it appear regularly in Provencal cookbooks. Mixed results, it was creamy and fresh and good dinner party fare if you want to impress gourmands. 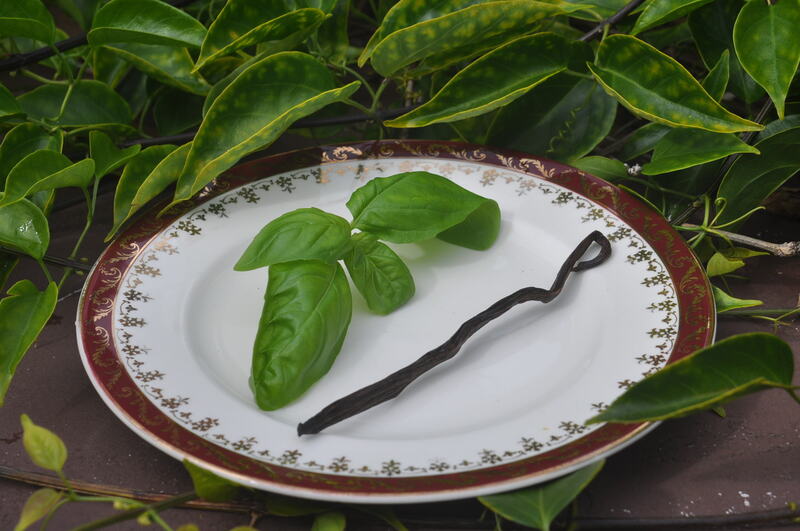 The problem for me is that the smell and taste of basil is so strongly associated with pasta and savoury foods that it was hard to make the brain switch into dessert mode. Bottom line, worth doing if you want to be a bit creative and expand your palate. Overall though, nothing beats chocolate. 250ml full cream milk; 100 grams sugar; 2 medium eggs; 400ml cream, half cup of basil leaves, vanilla pod. Heat the milk in a small saucepan while beating the eggs and sugar in a jug separately. Pour all the mixture into the saucepan and heat it without boiling but stirring all the while until it starts to thicken like smooth custard. Remove from stove and add basil and vanilla pod. When cooled to room temperature pour custard through a sieve to get rid of all basil leaves. The custard will be infused with the basil flavour. Add the cream and stir. Put the mixture into the fridge for 12 hours. Use your ice cream maker to make the ice cream. I used my Krups which gives excellent results. Stawberry ice cream - blissful taste of frozen stawberries and cream. My mom got me an ice cream maker for Christmas. I’m always a bit leery of gadget-y appliances, they tend to sit unused in cupboards, but this one is a gem. It’s a basic Krups model and uses pretty simple technology. You have to freeze the metal-lined mixing bowl for 24 hours before using it, I just keep mine constantly in the freezer so I don’t have to plan ahead. You make your ice-cream mix 12 hours ahead of time and refrigerate it. Pour the mixture into the icy bowl and start the machine – basically a stirring paddle that churns the mixture around the frozen bowl. I put it on as we sit down to eat and you have divine, home-made ice cream in 20 to 30 minutes. It comes with a great recipe book, the methods are really simple, and the results are fantastic. 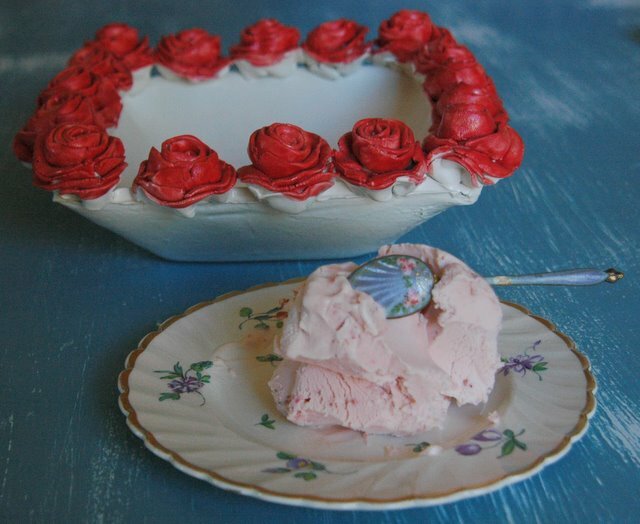 I’ve made chocolate and fresh strawberry ice cream so far – both superb. I’m going to buy yoghurts too and freeze those for a quick healthy-ish pudding. The possibilities are really endless, I’m sure I’m going to go crazy with experimenting for a while before settling down to a few favourites. 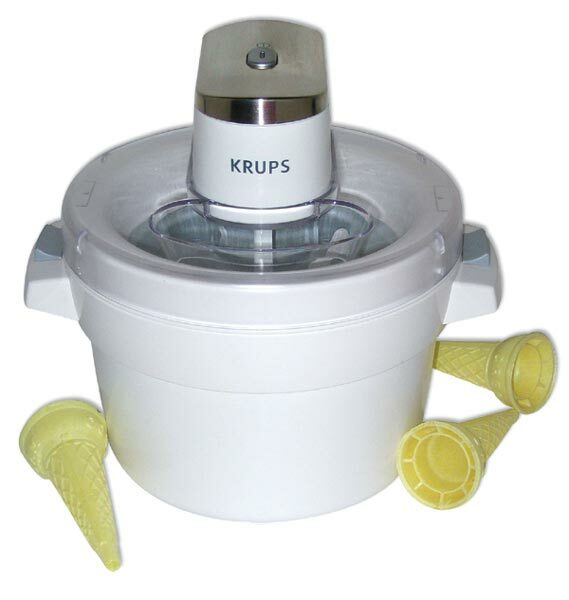 Cool gadget - Krups ice cream maker. I’ve been browsing Marlena de Blasi’s A thousand days in Tuscany and there can’t be much to beat that rural Italian cuisine. She fries Zucchini blossoms, but I have replaced them with the peppery Nasturtium flowers that grow like weeds in my herb garden and on the compost heap. Delicious. In a large bowl, beat together with a fork or balloon whisk the flour, beer, water and sea salt to form a thin, smooth batter. Let the batter rest for an hour or so, covered and at room temperature. Stir in the ice cubes and let the batter rest for an additional half-hour. Stir the batter again. It should now be smooth and have the texture of double cream. Over a medium heat, heat the oil in a heavy based saucepan to a depth of 1cm (de Blasi says 7.5 cm (!) but my extra-virgin budget doesn’t stretch to that, so I went for shallow frying). The more slowly the oil heats, the more evenly it will heat, helping you to avoid unevenly fried foods. Test the oil by dropping in a cube of bread. If it sizzles and turns golden in a few seconds, the oil is ready. 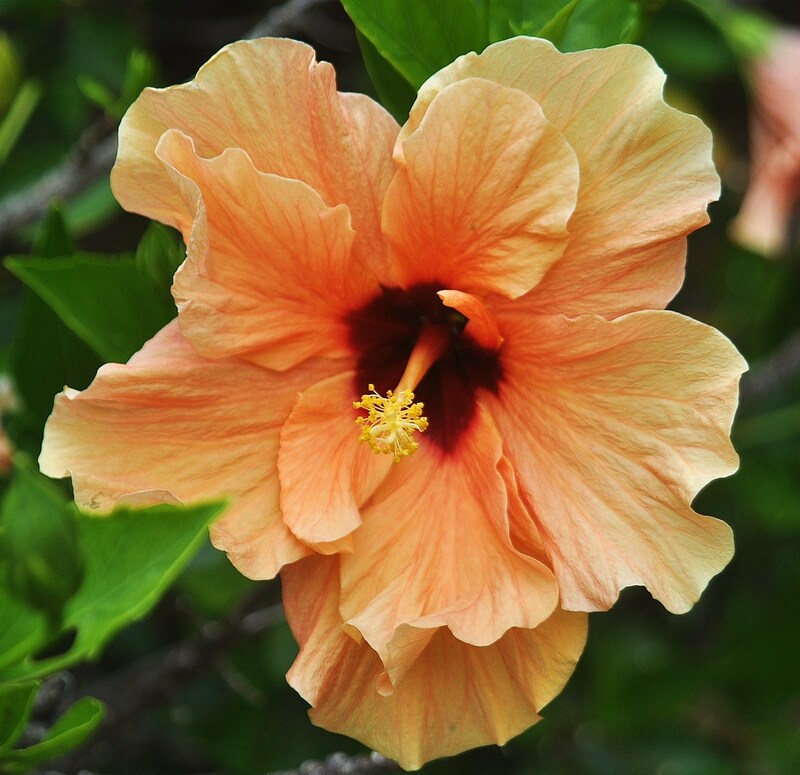 In small batches, drag the flowers through the batter, shaking off the excess. Place them into the hot oil for half a minute or so, allowing them to take on a good, dark crust. Turn them with tongs, to finish frying, them remove them to absorbent paper towels. Sprinkle with sea salt and eat them pan to hand to mouth.